We climbed Errigal on a beautiful July morning when we had stunning views over this entire north-west corner of Ireland. The opening kilometre from the carpark is a bit of a slog on any day. The terrain is boggy here and we encountered more than a few discarded shoes in the muddiest section. But if you persevere you wil reach a proper stony path that rises steeply in a couple of places - this is a welcome respite from the bog but you start to notice how unstable it can be as well as the shale can be easily dislodged underfoot - especially when hiking with a baby carrier. 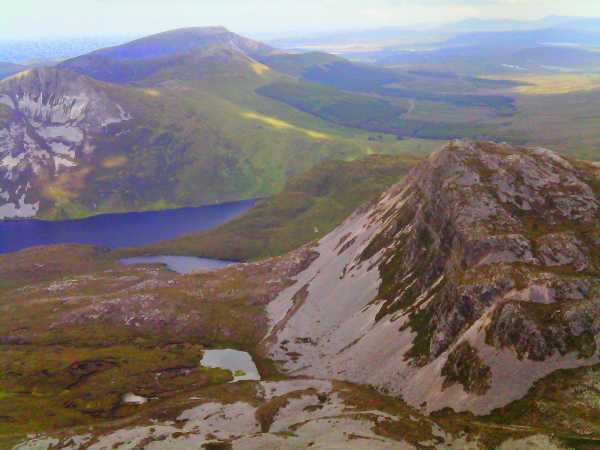 However, in general Errigal is a manageable enough climb. Our four year old made it to the top and back and had great fun making it over the arrets leading to the summit.